Miami Trace Local Schools Treasurer Debbie Black said Monday the district could lose upwards of $500,000 in tax revenue after a complaint was filed with the Fayette County Board of Revision. Each county in Ohio has a board of revision comprised of the county treasurer, county auditor or fiscal officer, and a member of the board of county commissioners. The board of revision decides real property value disputes within their county. According to Black, Miami Trace officials have been communicating this month following a complaint that was filed by a representative of Tanger Outlets in Jeffersonville to the board of revision about the valuation of its property and how that corresponds to the amount of tax money it needs to pay. This money, which is its real estate tax, is what is portioned off and given to the Miami Trace Local Schools to help increase the money available for its general operation. Black said the complaint is alleging that the property is overvalued currently and should be adjusted to appropriately match the value. Black said the main reason for this complaint is the way shoppers shop nowadays — preferring the ability to buy online rather than in person at big box stores — and the lack of tax money received when buying things in this manner. All of the board members understood the coming reduction, which is a cut of about one-third from the annual tax revenue the district receives. Additionally, the board members expressed a willingness to work with Tanger Outlets and the desire for the business to succeed. Mike Henry, board president, said some money is better than no money at all. In other business, the board approved a trip for a middle school class to go to the Columbus Zoo, over 40 employees were approved for various positions, vision insurance was approved and the handbook for all buildings in the district were approved. Finally, the board discussed and approved where funding was going to come from for technology in the new high school at an expense over $200,000, and business manager Bill Franke updated the building project, which is entering its final six months. 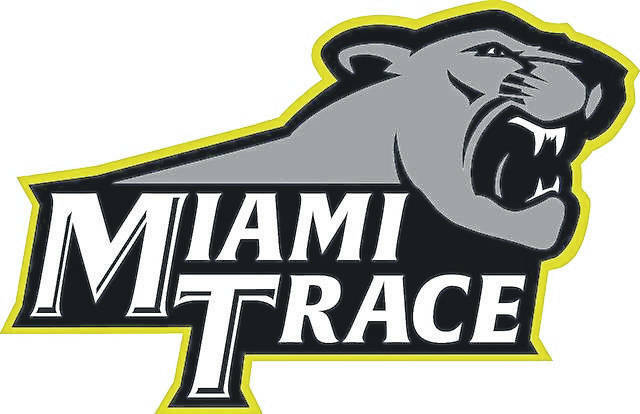 Stay with the Record-Herald for more updates from the Miami Trace Local Schools.